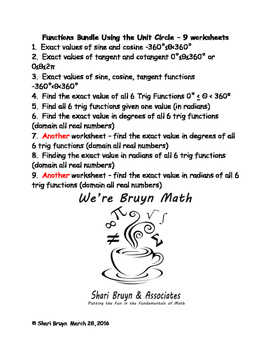 This functions bundle of self checking worksheets has 9 worksheets which will require the student to find the values of the trig functions using the unit circle. 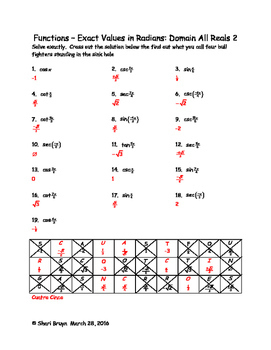 The worksheets start with the easiest values and progress to the more difficult values. 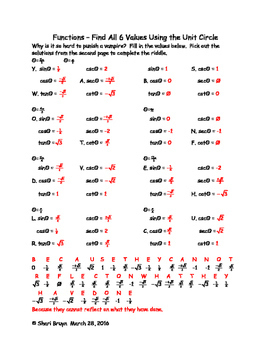 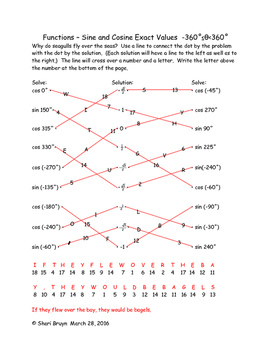 Once finished with a worksheet, the student will reveal the solution to a riddle, puzzle or pun.